The most prevalent message throughout this time is that identifying a change is merely the beginning. The real work begins in analyzing the impact, working through implementation, and maintaining a flexible approach to tracking the changes to the corresponding rules. Navigating policy and guideline change has become an art, as well as an ongoing burden that can be greatly eased with the right vendor partner. Clarifire prides itself on being a partner for the times, who understands the complexity and importance of streamlining regulatory transition, in addition to balancing the roller coaster of regulation. As process automaton experts, we know what it takes to keep the balance and we build it into our technology. Although the mortgage industry has largely moved out of the post-crisis era and a new administration has taken over, the servicing side continues to be handed regular updates of fundamental rules and requirements. In the past two years alone, there has been an unprecedented ramp up in disaster relief requirements that has included the introduction of multiple new modification programs. Not to mention that the government entities, including the Federal Housing Administration (FHA), Department of Veterans Affairs (VA) and the United States Department of Agriculture (USDA), have extensively updated their servicing handbooks, as have Fannie Mae and Freddie Mac. Helping to ensure servicers are aware of ongoing issues and providing solutions during these unprecedented times of regulatory burden, Clarifire continues to inform and assist. In 2018 alone, Clarifire tracked a myriad of emerging issues, including enhanced scrutiny from Ginnie Mae and the Federal Deposit Insurance Corporation (FDIC) on servicers. Common servicer errors found during Bureau of Consumer Financial Protection (f/k/aCFPB) examinations were also highlighted. Clarifire continues to stay on top of the constant flow of disaster relief requirements and programs. This extends to regulatory changes, alongside of legislative developments, such as the implementation of successors in interest provisions, which continue to impact servicer operations. While many servicers may still be trying to keep up with 2018 changes, an evolving economic and interest rate environment, on top of regulatory transitions, will make this another busy year. Many of the key government entities that servicers interact with on a daily basis are welcoming new leadership. Fannie Mae and Freddie Mac will be under the direction of a new Director of the Federal Housing Finance Agency (FHFA), who will likely drive a forward-looking agenda for housing finance. Joseph Otting, Comptroller of the Currency, is currently serving as the Active Director, while the administration works to confirm the President’s nomination of Mark Calabria. This year, Fannie Mae and Freddie Mac will both onboard new CEOs as well. With Brian Montgomery as the new Commissioner of the Federal Housing Administration, Clarifire anticipates a more progressive approach to mortgage lending and servicing at HUD. Introducing a new bench of leaders in the government space, servicers should expect regulators and investors to take yet another look at the state of mortgage servicing. Notably, under the newly confirmed Director Kathy Kraninger, the BCFP is already reexamining the landmark Real Estate Settlement Procedures Act (RESPA) Mortgage Servicing Rule from 2014. New faces and new market dynamics for the new year…. mortgage servicers should anticipate continued change. Having withstood a decade of regulatory volatility and disruption, Clarifire is the progressive partner you need to navigate unceasing change. Working through this unique landscape demands a progressive and flexible approach to handling servicing operational processes. Ensuring readiness that stretches across your servicing organization, with the ability to integrate, change and mitigate risk, is a necessity. Helping servicers address underlying operational issues with confidence for over a decade, Clarifire understands the obstacles and impact of an already complex network of loss mitigation alternatives. The CLARIFIRE® workflow platform, which includes sophisticated configurable workout decisioning for all investor types, is complete with workflows that drive quality and consistency. 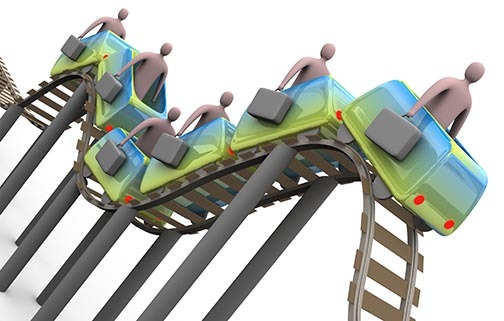 The application is designed to handle the regulatory roller coaster. 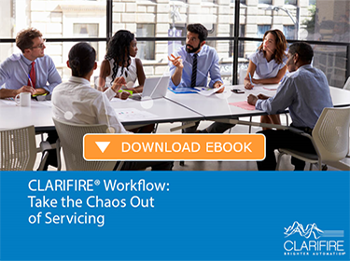 Prepare for the unexpected with Clarifire, the process automation partner of choice for servicers that understand the value of being cutting edge, nimble, compliant and customer centric.